Spotty pitching all weekend doomed the Privateers (9-11, 2-4) to a 1-2 conference weekend at Abilene Christian. New Orleans led in all three games. On Friday, a workmanlike effort from Bryan Warzek got New Orleans a lead, but up 6-5 in the bottom of the ninth, relievers Mathew Oset and Christopher DeMayo were unable to record an out, and a bases-loaded walk-off double sent the Wildcats home happy. Jay Robinson led the offensive effort with a 3-for-3 night with two doubles. On Saturday, a three-run fifth by ACU wiped out the Bucs' 2-1 lead, and they held on for a 6-5 victory. Orynn Veillon, playing his first conference series after returning from a preseason injury, collected three hits. Starter Reeves Martin allowed 4 runs in just 4 innings. On Sunday, Owen Magee's three doubles and Cody Ducote's home run led UNO's offensive onslaught in a 14-10 victory. 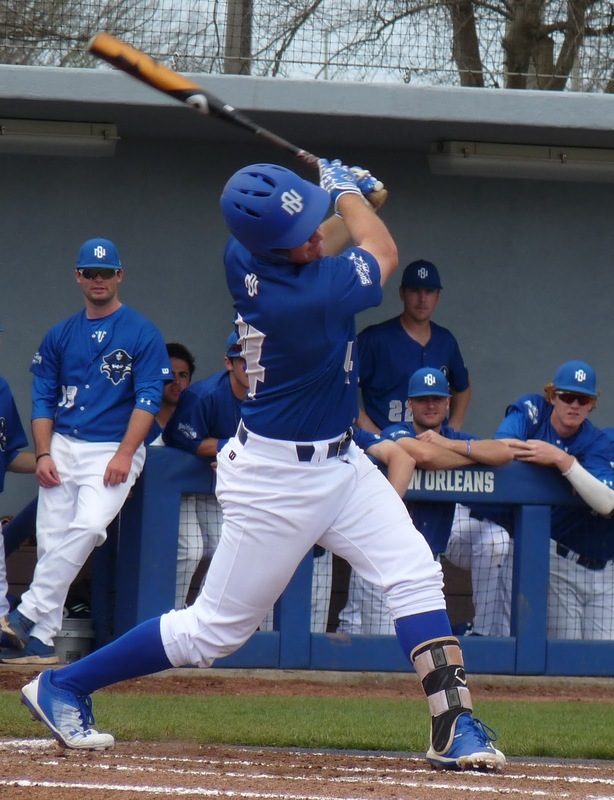 Starter John Michael Stephens lasted just 2 innings, and the Privateer pitching staff gave up 17 hits, but the Privateers' 20 hit barrage overcame it. Beau Bratton, Collin Morrill, and Robinson also laced three hits apiece. New Orleans has an 11 a.m. battle at Ole Miss coming up on Tuesday, and will be back at Maestri Field for a conference series against Central Arkansas over the weekend.